Good evening, dear readers! I've been swamped today, but I really wanted to get this review post up for you. I was provided a Mary Kay Chat Pack by House Party, and I was sent the new ClearProof Acne System to review. I was asked to test it out for 30 days and share my results. The four-piece system comes in a box, and each item is securely fixed in a plastic tray. I've been battling with acne since my son was born, and while there are times when my skin seems clearer than others, it has never lasted for long. When I received this system, I had been using another product from a different brand, and my skin was relatively cleared up. I still had a few acne spots when I started the system. 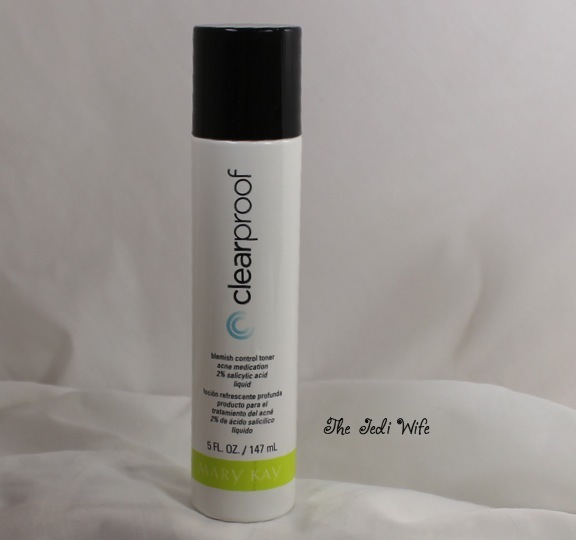 I used the Clearproof Clarifying Cleansing Gel twice a day: in the morning and then at night before bed. 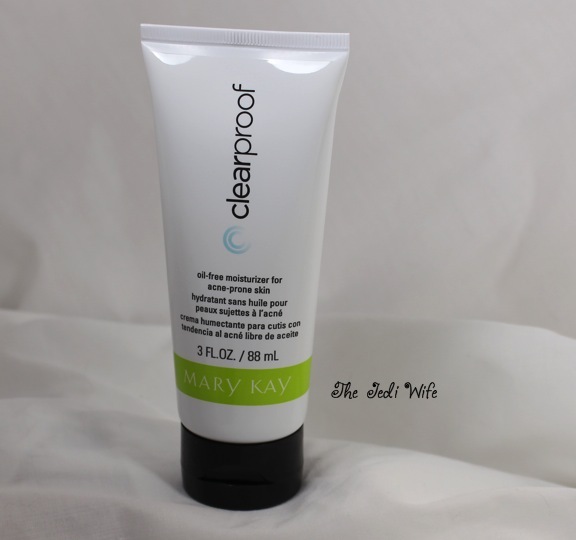 I used the Clearproof Blemish Control Toner once a day. Any more than this, I think my skin would have either burned or melted off. I originally used it in the morning, but I switched to the evening after the first day when I needed to start using the acne treatment gel (more on that later). My skin felt a slight burning sensation after each use, and it made my eyes water. 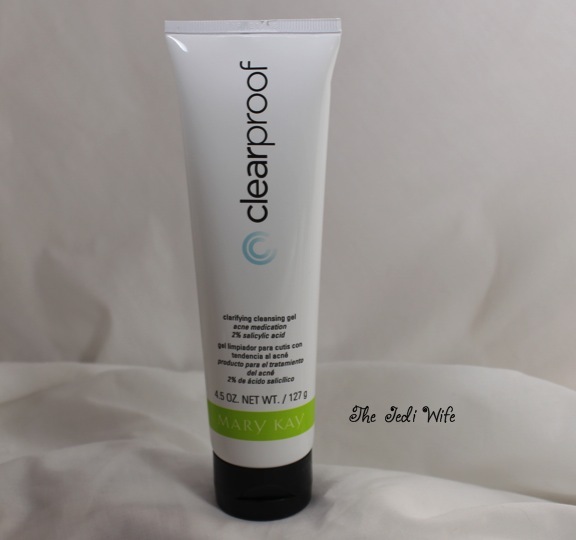 Initially I didn't use the Clearproof Acne Treatment Gel, but it became necessary after using the other components of the Clearproof Acne System made me break out badly within the first 24 hours of use. The Acne Treatment Gel was very drying, and I only used it once a day after washing my face in the morning. I used the Clearproof Oil-Free Moisturizer for Acne-Prone Skin twice a day, after each washing and application and use of either the toner or acne treatment gel. 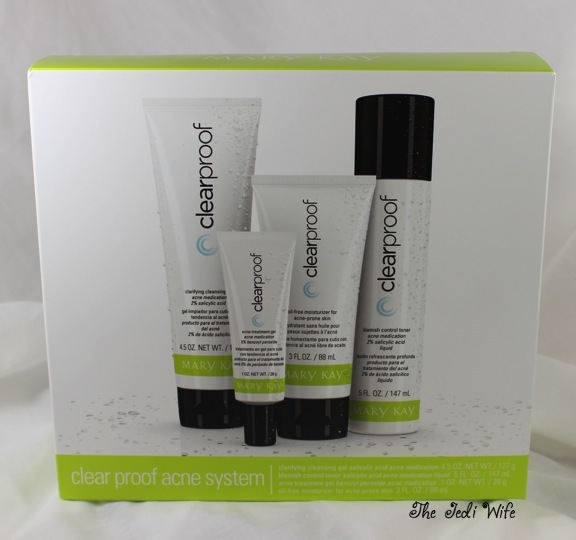 The ClearProof Acne Treatment System claims to clear up blemishes without irritation and to help maintain a clear complexion, but that was not the case for me. 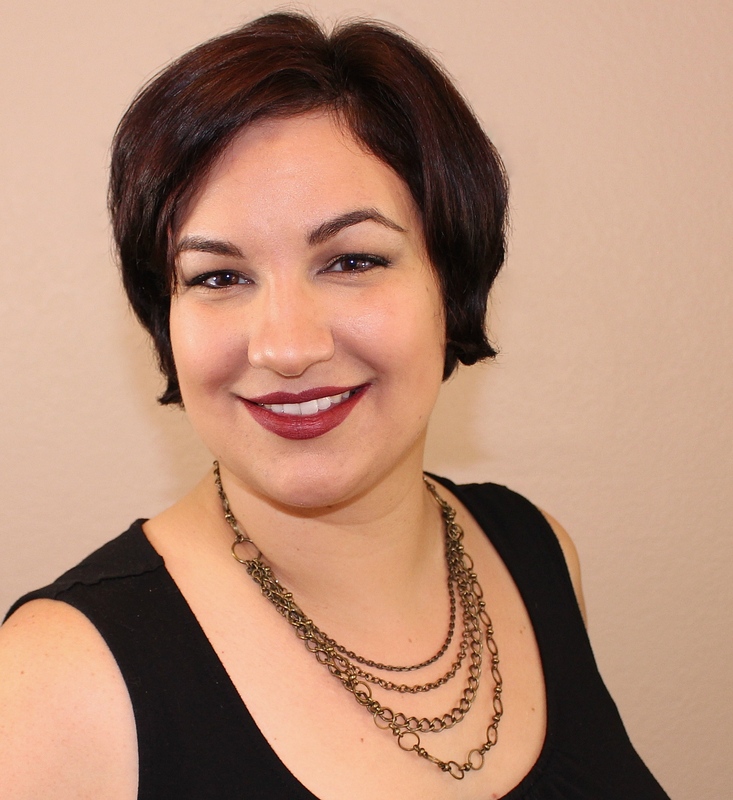 My face was pretty clear- with only a single blemish when I first started using the system. Within the first 24 hours (by Day 2) of using the wash, toner, and lotion, I had 8 new blemishes on my face. I started using the acne treatment gel sparingly (once a day) with the appearance of the new blemishes. Day 3: I had another fresh batch of new blemishes on my face. My skin seemed to be handling the system well, other than several blemishes. Day 7: My face started to become really red, dry, and painfully sore. I decided to discontinue the use of the toner and the acne treatment gel, and was only using the cleansing gel and the moisturizer. Day 10: I saw no improvements in my face; my skin was red, dry, and flaky. I started using the cleansing gel once a day and just rinsed my face with warm water. Day 14: I did not have any new blemishes with this routine, but my skin was still painfully red and incredibly dry. Day 16: Still no new blemishes, but my face was still red and flaky and felt raw. I decided to stop my trial with the system and resume my previous routine. It has been 10 days since I've stopped using the Mary Kay Clear Proof Acne System, and my skin is finally in good condition. My skincare routine consisted of a gentle washing and moisturizer. 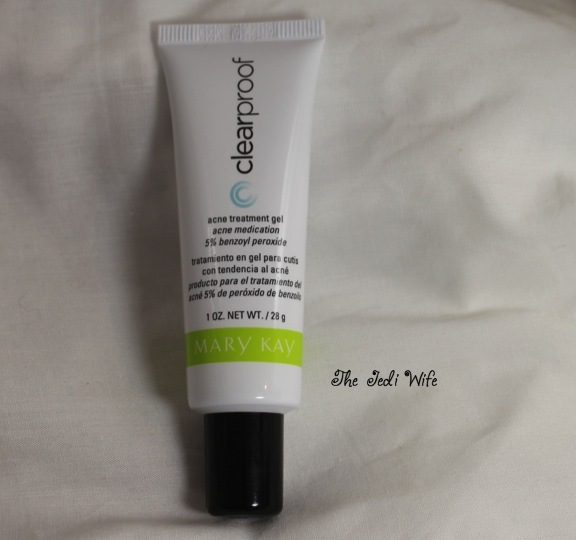 I initially used the Clearproof Oil-Free Moisturizer for Acne-Prone Skin, but it was doing my skin no favors; I might as well have just rubbed a dry cotton pad on my skin for as moisturizing as the Mary Kay moisturizer was. My skin had ceased being red and in pain, but it was still very dry and flaky. Once I switched over to a more emollient moisturizer for a couple of days, my skin was sufficiently moisturized and my acne was clearing up again. I currently only have one small blemish left on my face. I couldn't complete the 30 Day trial, but my short experience with the ClearProof Acne System was anything but favorable. I found the cleansing gel and toner far too harsh for use on my sensitive skin, and the moisturizer wasn't the least bit moisturizing. 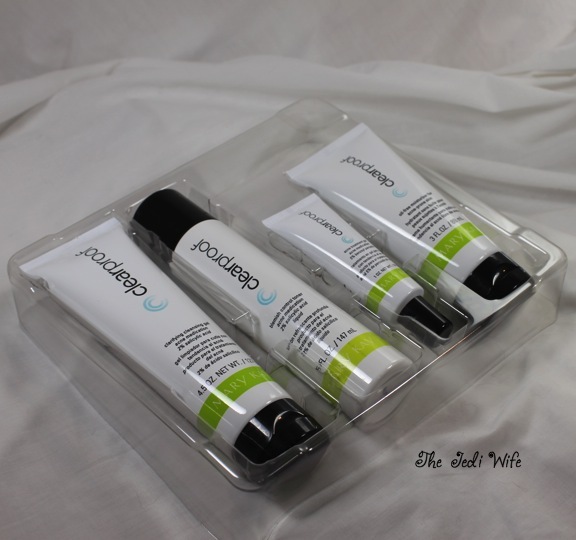 The acne treatment gel was drying, but that is expected for this type of product. I'm going to reserve judgement with the latter as it might be ok to use with quality products. 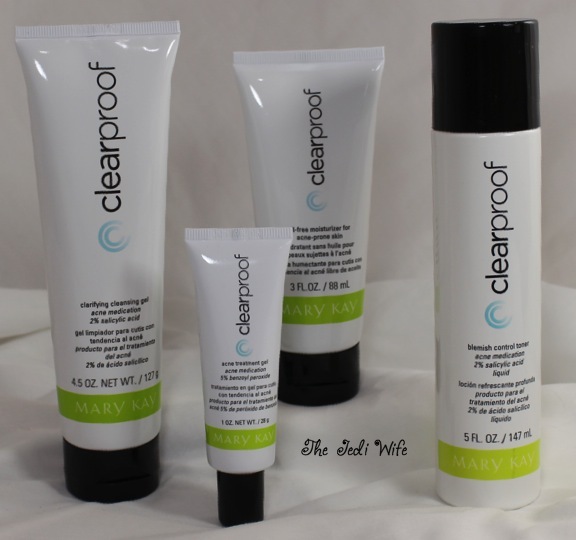 The ClearProof Acne System retails for $45 and can be purchased from your chosen Mary Kay representative. Disclaimer: The products reviewed above were provided to me for my honest and unbiased opinion. All thoughts stated are entirely my own and are based on my use of said products. I love receiving feedback from my readers, and any comments left here are the express opinions and/or property of the individual commentors. Therefore, I, the author of this site, cannot be held responsible for the opinions held by others. I reserve the right to remove any comments that I find to be harmful, unnecessary, or not constructive for other readers.